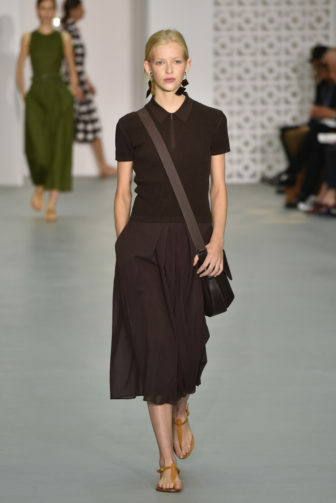 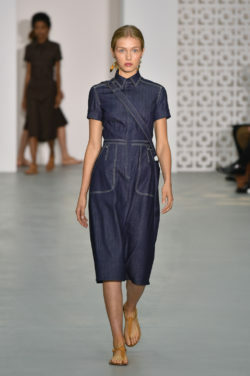 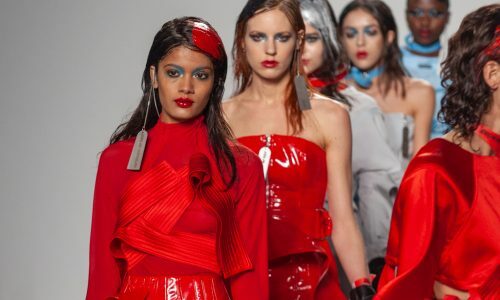 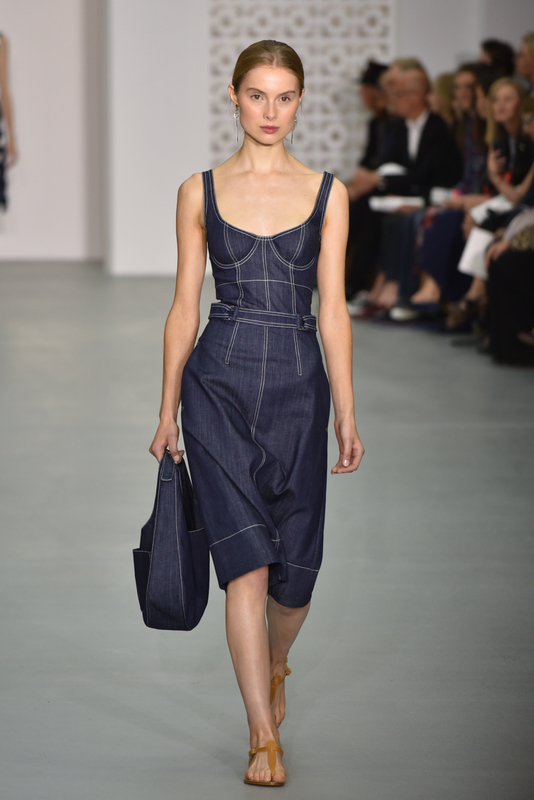 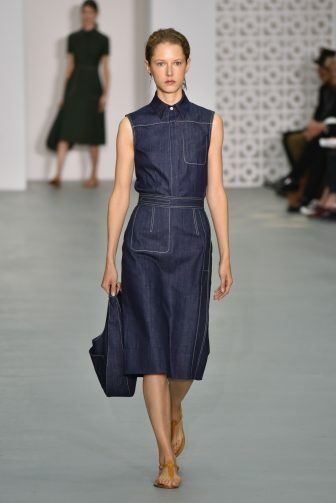 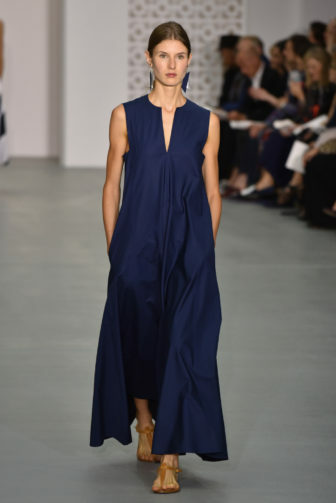 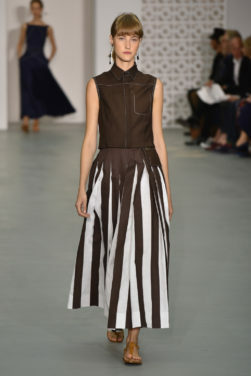 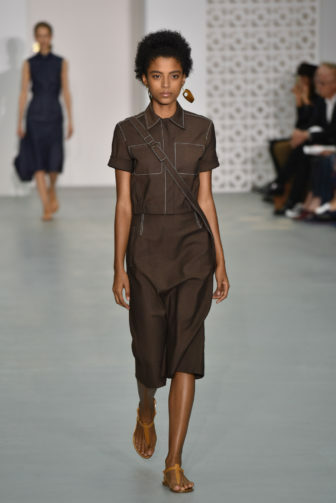 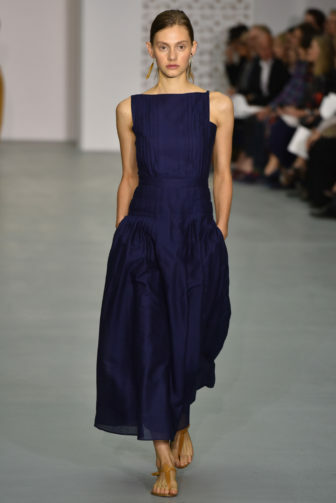 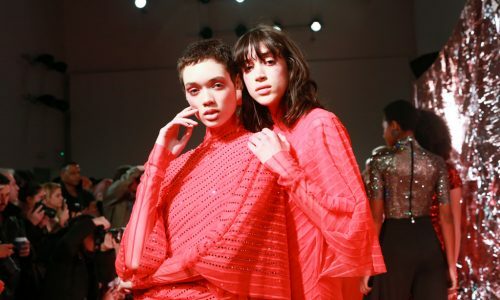 It was summer in the city at Jasper Conran this season as the designer presented a variety of easy, wearable pieces in dyed denim, cotton, linen and silk taffeta. 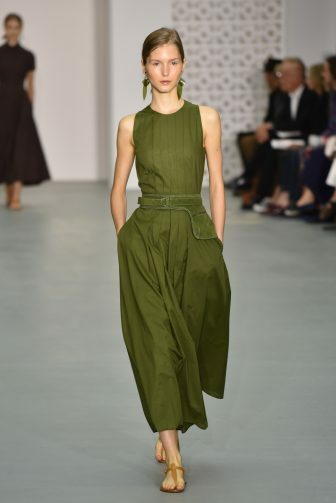 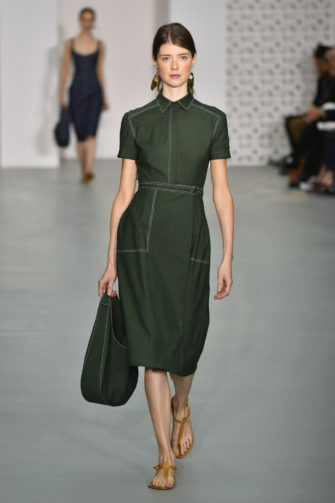 The focus of the first portion of this collection was placed firmly on the denim, overdyed in rich utilitarian tones of navy, forest green and brown. 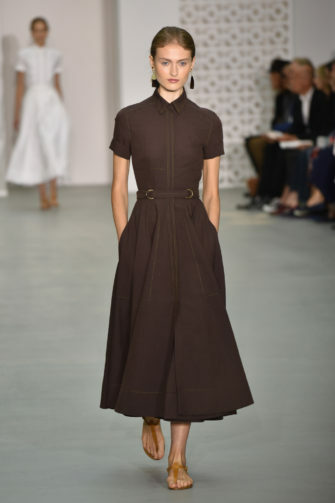 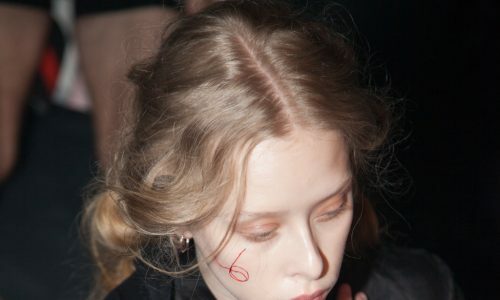 Simplicity of line and silhouette were bought to life by subtle, practical details such as eyelet fastenings on a jacket or a D-ring belt on a shirt dress. 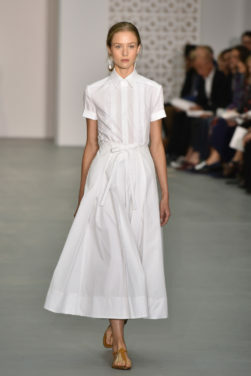 Contrast white stitching crossed at the bodice, or else lined the edges of pockets or sleeves, adding further depth to the otherwise very simple pieces. 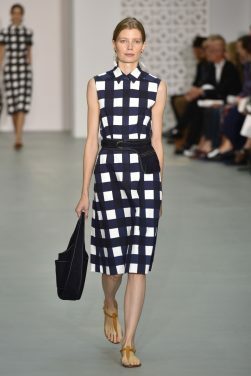 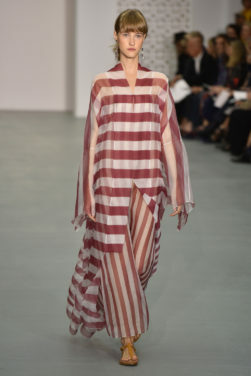 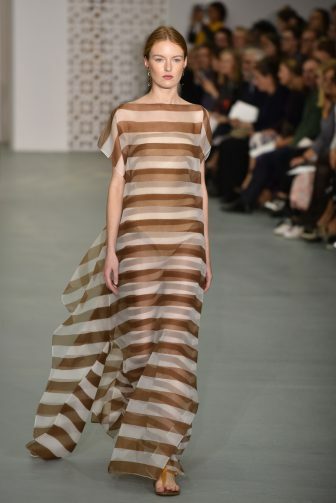 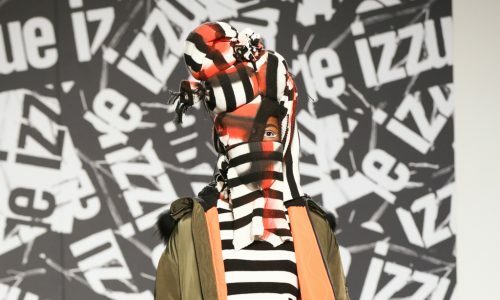 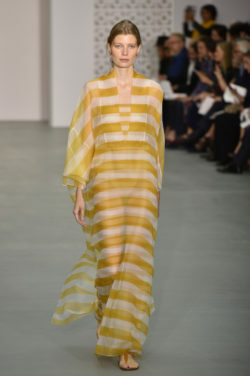 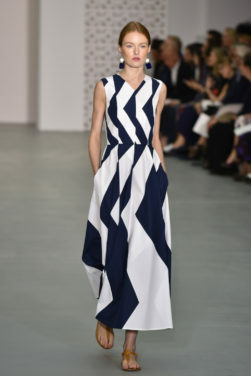 As the show continued, the focus switched to crisp cotton pieces in bold, graphic patterns. 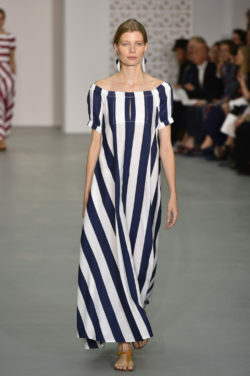 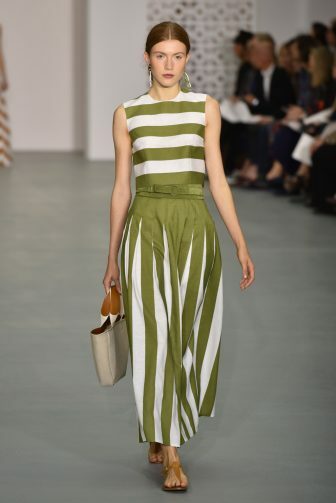 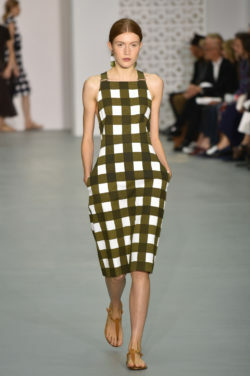 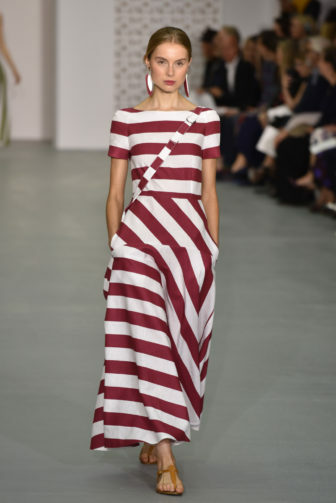 On a clean white base, a deckchair stripe or oversized check stood out in either tomato, lime, cocoa or navy. 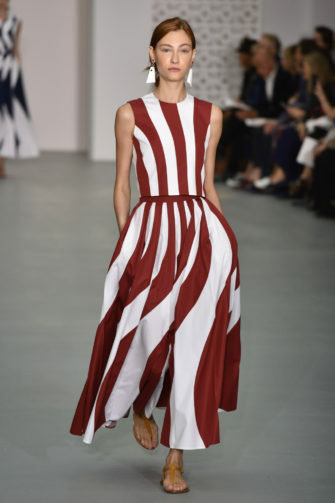 In many cases, these were then distorted in interesting ways by the pleats and gathers of the dresses they covered. 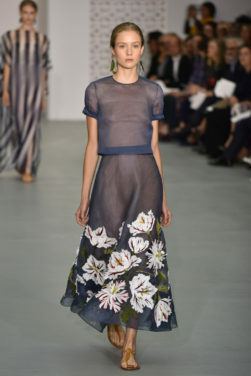 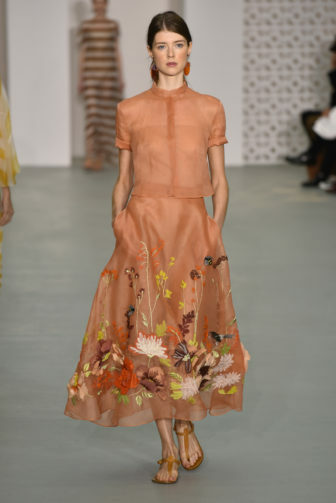 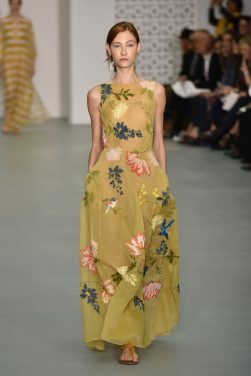 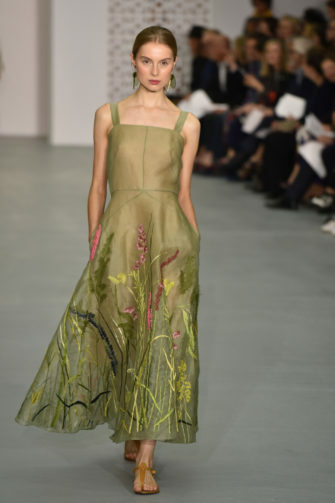 Perhaps the most beautiful designs, however, were the ones based around Conran’s idea of summer florals. 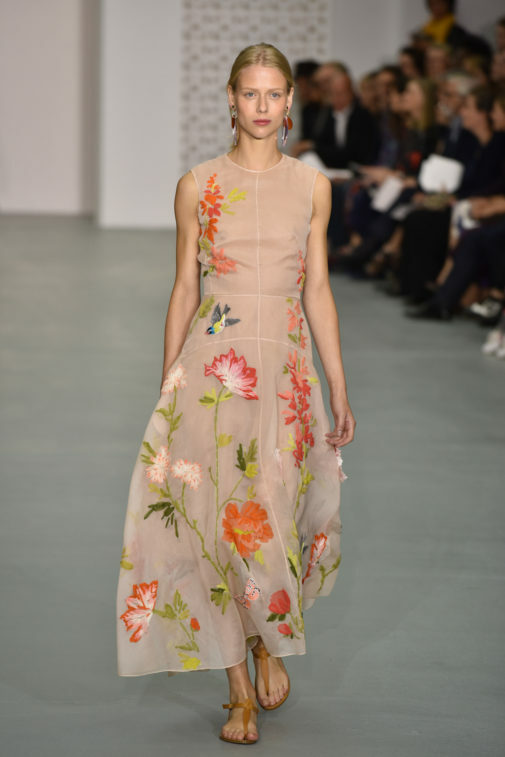 On an airily lightweight, sometimes translucent base of cotton organdie there were stitched delicate petals, leaves, birds and bees. 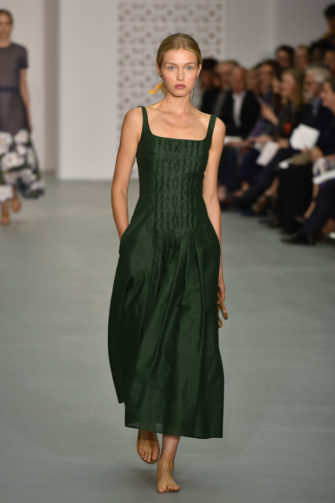 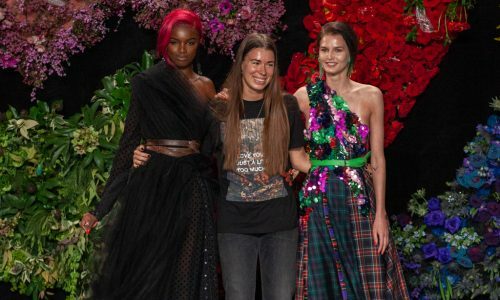 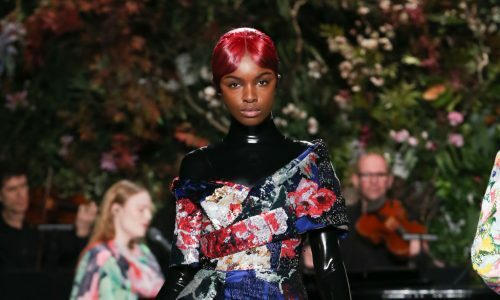 Sometimes, these bloomed across a gown shaped like one belonging to a mid-century debutante – in other cases, they crossed full skirts layered beneath neatly cropped shirts. 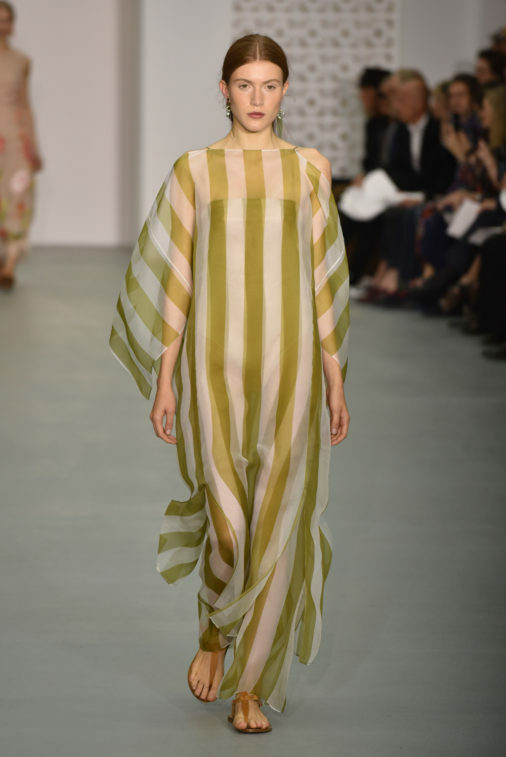 In dusty shades of peach, pale blue and pink, these made a pretty contrast with a number of glamorously beach-ready, voluminous kimono-dresses in a bold stripe. 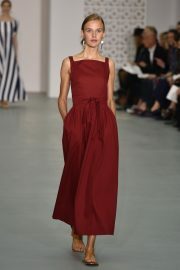 For further information about Jasper Conran visit here.